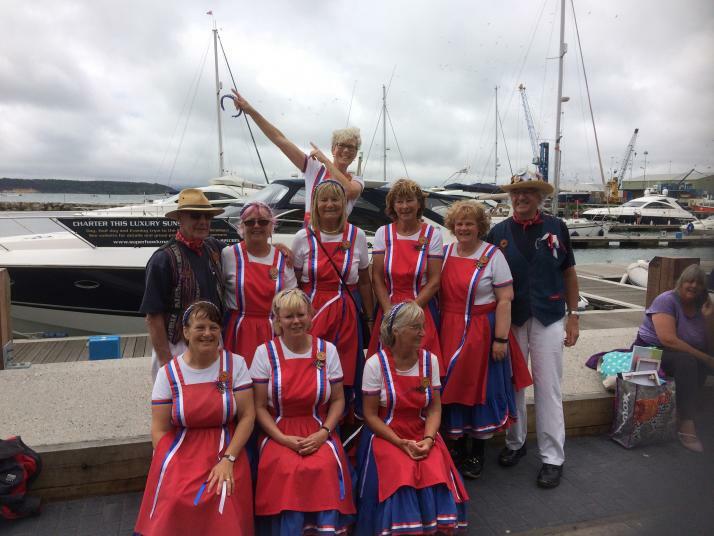 Ladies North West Morris side from Sidmouth in Devon. Dark Blue skirt, red apron, red/white/blue ribbons. Navy clogs.